Navigate to Settings in top right corner. 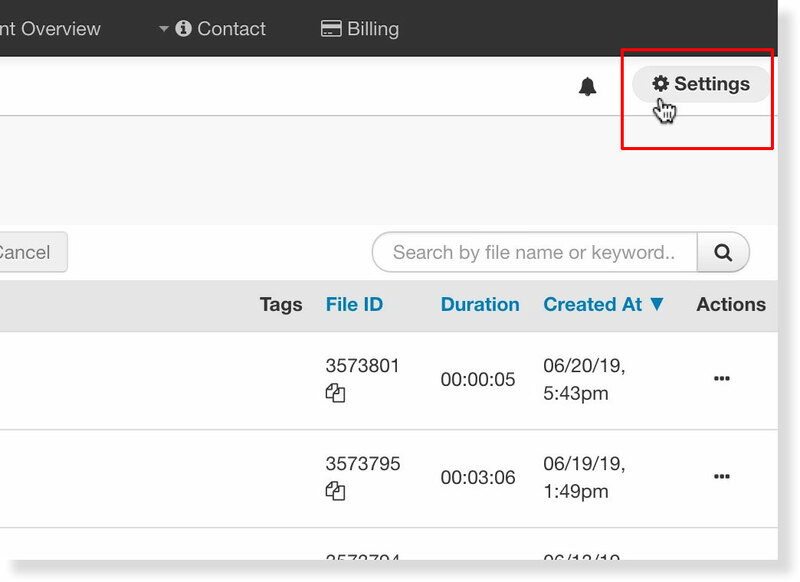 Click API Management located on the left-hand side of the page. Click, and Create API Collection. 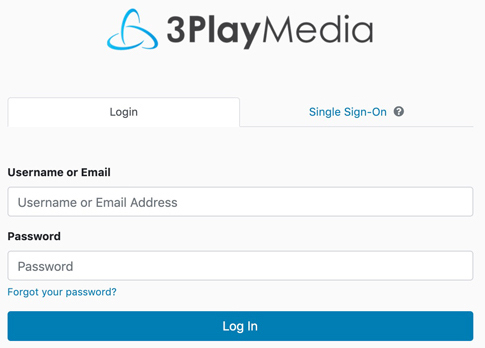 Note your credentials, as you will need them later to link to 3Play Media. 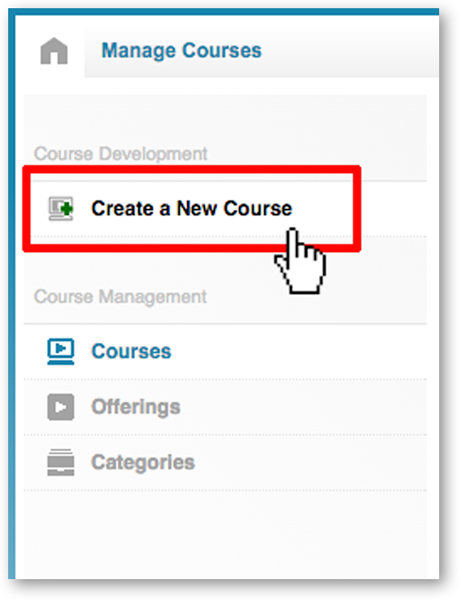 Log into your DigitalChalk account and click Manage Courses. Click Add a Chalkboard on the left side of the screen. Add a title and description if needed, then click Save. Next click Edit Chalkboard. 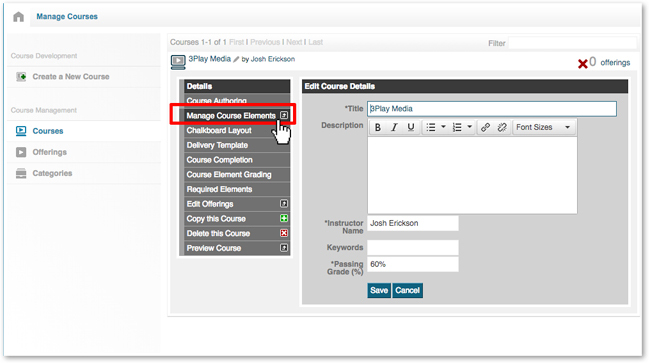 If there is no media in your DigitalChalk account, click HERE to learn how to add media. 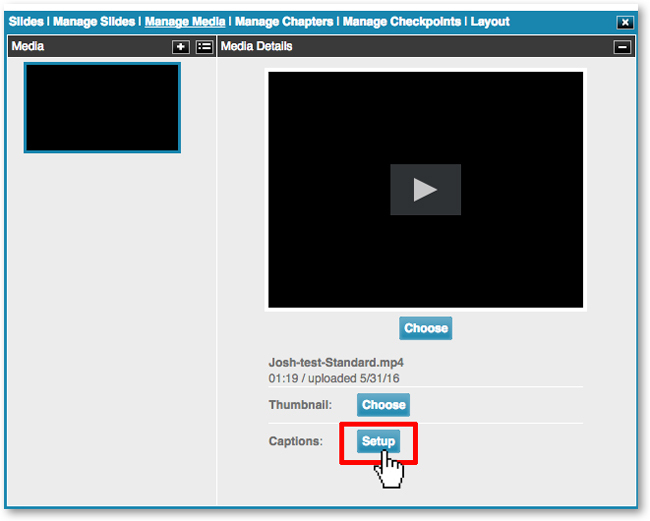 Once a video has been uploaded, and encoded, captions are ready to order. Click the Setup button. 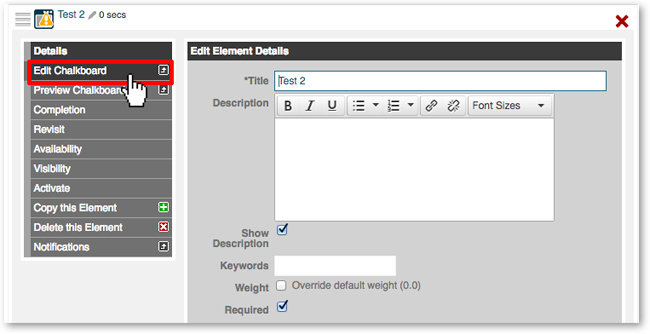 Copy and paste the API Key and Secret Key into the fields on your DigitalChalk account, and click Save. 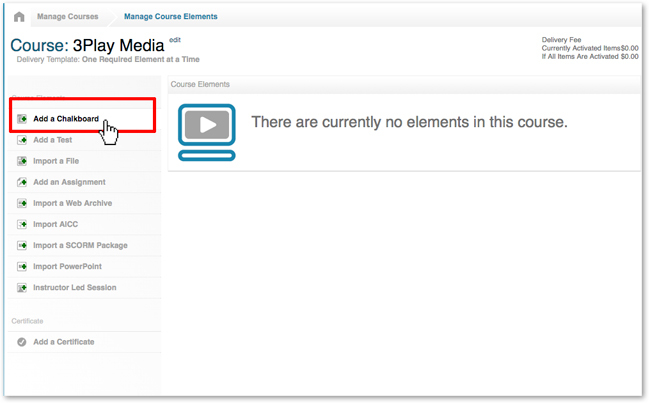 For more information, click HERE to view DigitalChalk's video tutorial.